I finally got a chance to fish Riverbend after Fishsauce posted that thread a couple weeks ago. Wow. I'm glad I did! I've been out a few times, and I'm still figuring out the water and holes that are producing. But so far, the fishing has been fantastic. I've been catching smallies in double digit numbers over the past couple weekends - much better numbers and size vs. my usual go to flow, Goose Creek. I need to invest in a waterproof camera. Pulling out my iphone to take snaps is a pain. The red splotches are reflections my red kayak. The morning topwater bite has been consistent and solid. 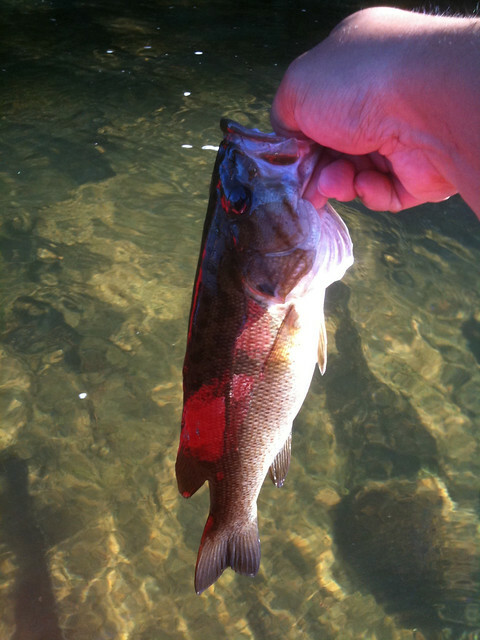 By early afternoon, I was throwing spinners, jerkbaits and soft plastics which all produced. There is so much water to cover and explore, I still haven't made it all the way up to Swain's lock. Hoping the fishing improves as Fall comes around. 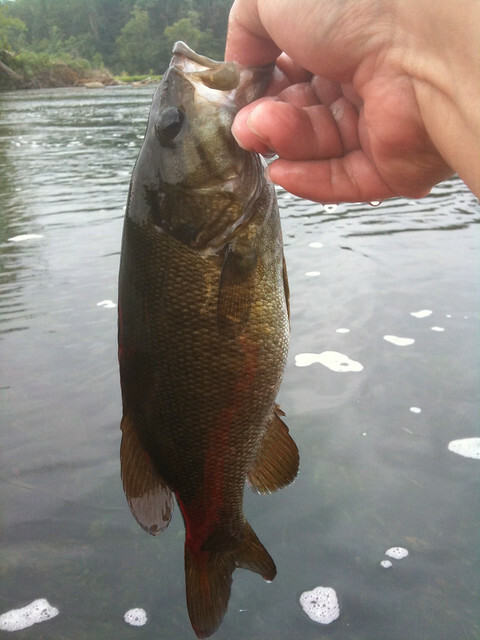 Quite the belly on that first smallie. Good stuff! Healthy looking smallies. The water looks crystal clear. I recommend the Canon D10 if you're looking for a waterproof camera, I like mine a lot. Thanks guys. I'm enjoying Riverbend more and more every time I go out. FishSauce - the Canon D10 is exactly the camera I have on my Christmas wish list I shoot with a bunch of Canon gear, but I'd never risk taking it on the river. I'm waiting on a big order from Tackle Warehouse ... tubes, swimbaits, new Powell rod. Can't wait to test them out! That's one place I still need to check out. Maybe this Saturday. Sweet! Nice report. I've only hit Riverbend 2x this summer. I've yet to try it in the kayak, though. Looks like it's time...! I am penciling Oct 2 as a possible Riverbend trip for me....need to be off the water by 1pm. Hit Riverbend again the other day. I ran into someone at the boat ramp, I believe his name was Ronnie? Anyway, he lives in Leesburg ... wondering if he's on this board. He had a small yellow kayak. 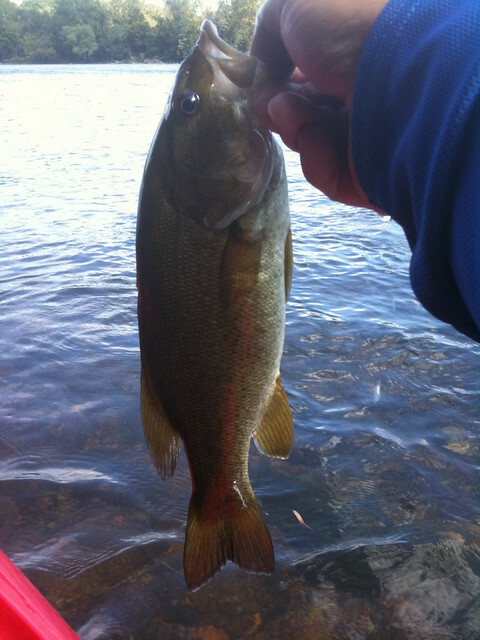 Fishing was a bit tougher this go around, but I ended up catching my biggest smallie so far this year. Measured almost 16 inches and about 2lbs. 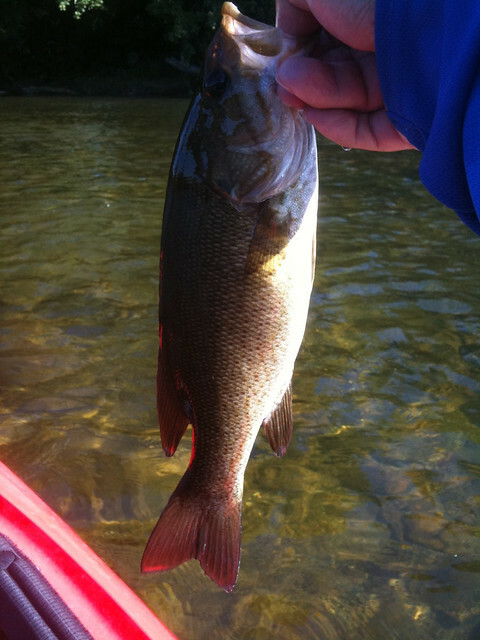 Other smallies I caught ranged from 10 - 14 inches. Great fun. All the fish hit on tubes and wacky rigged senkos. It was the first time I ever used a circle hook ... good stuff. I also managed to lose my paddle as I was portaging over some rocks. 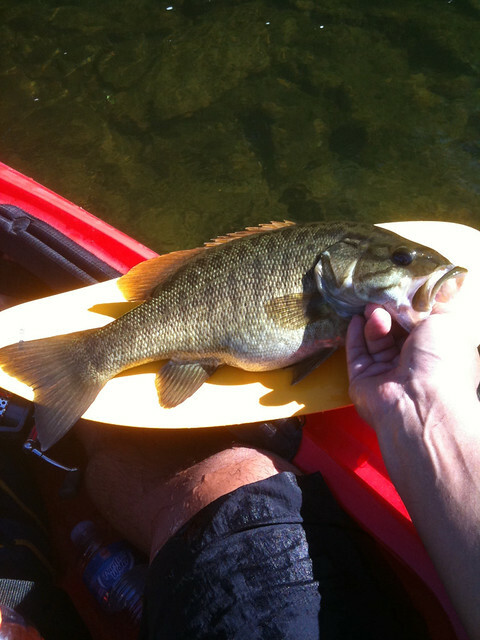 Of course, I had no idea till I turned around, only to panic and realize my paddle was about 50 yards downriver! I must have looked like an idiot splashing through the water chasing my paddle. Towards the end of the day I heard thunder ... finally decided to high tale it off the water. Storm was literally chasing me down the river - by the time I tied down my kayak, it began pouring rain. Whew. Been there and done that.....this would have ben fun to watch! Nice catching. Sounds like fun. Been wanting to get there. Finally carved out enough time, got the honey do list under control, no family obligations, etc. I'm gonna give it a go with the kayak tomorrow morning. If anyone else will be out there I'll be in a teal colored Cobra Explorer. I didn't see you up river ... but I paddled pretty far up. Did you stick close to the ramp or head down river? I've actually never gone down river ... been wondering if I should scout it out. 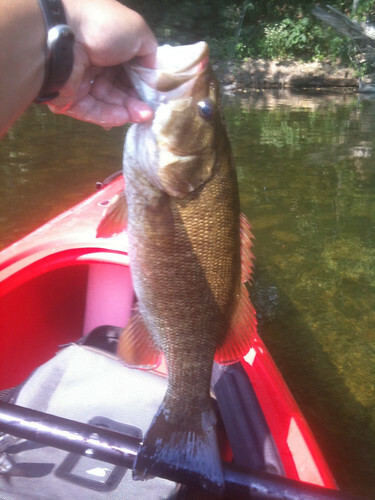 u saw my kayak.. i couldnt keep up with you.. i just went straight across the river into narrow channels.. i had good luck in that area.. caught 4 smallies and 2 sunfish.. I was really hoping to fish Riverbend this weekend. But Little Falls will be up to 8ft on Saturday. Definitely a no-go for the Potomac.